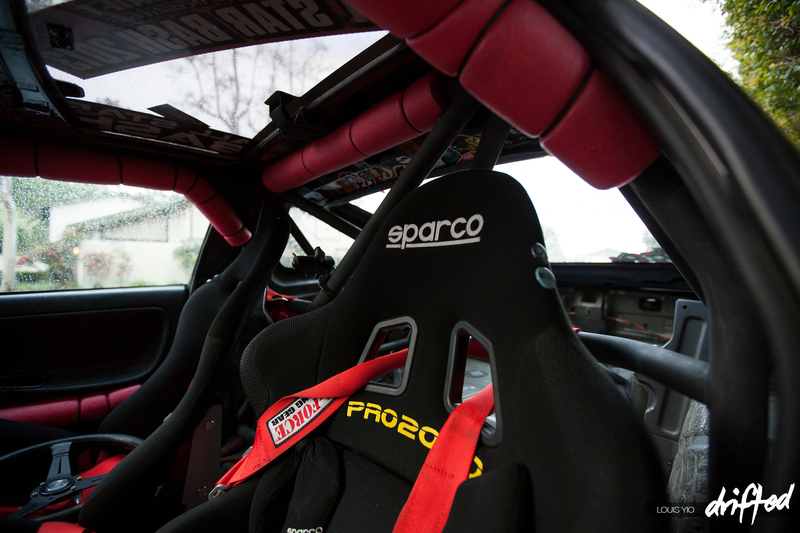 Speedhunter’s own Louis Yio shot this stylish S13 that packs an SR20 and a sense of humour.. 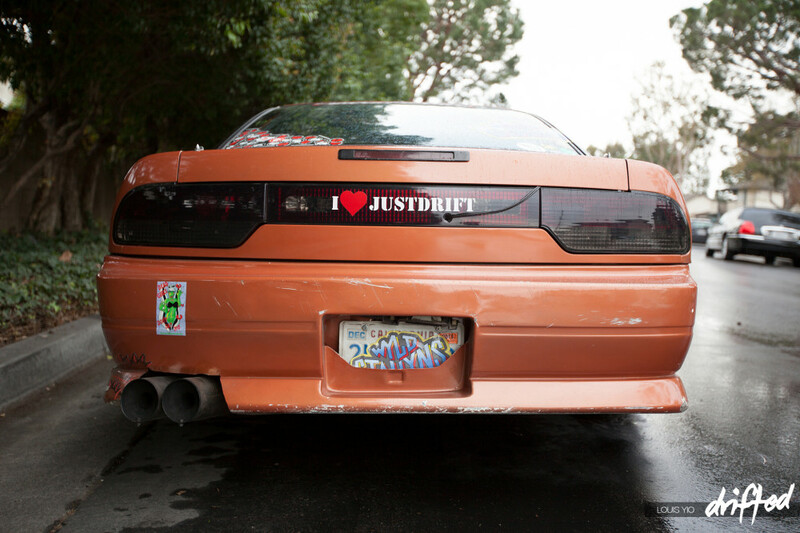 The Nissan S13 is a vehicle that has a pretty big following and fan base. 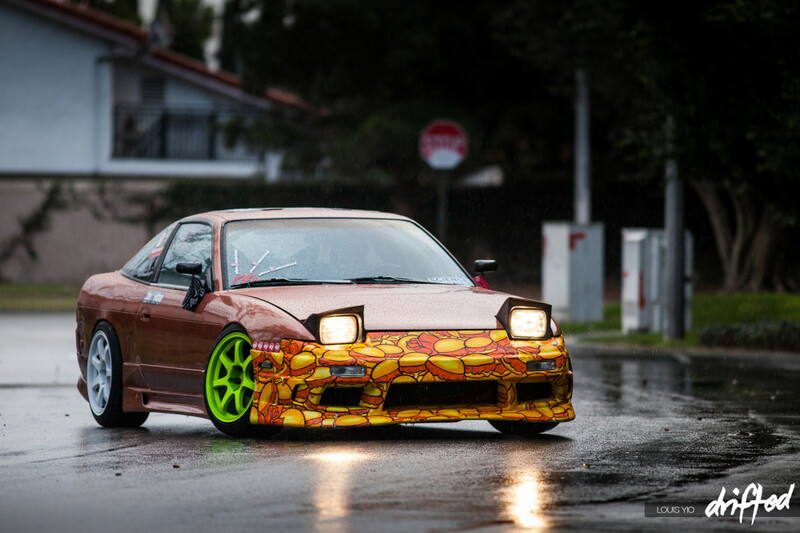 This is due to the fact that it not only has a huge aftermarket and great looks, but it’s a classic among the Japanese drift cars that also include the AE86 and Miata. 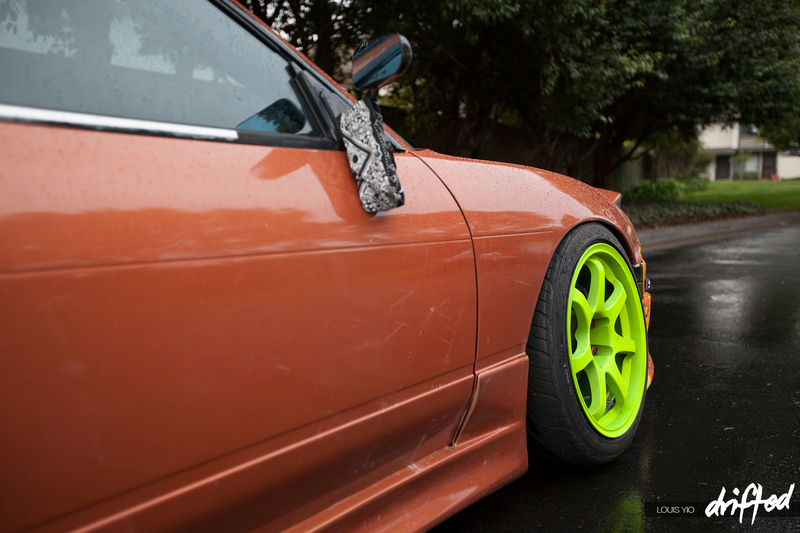 S13 owners modify and do what they please to their babies to truly make their S13 different. 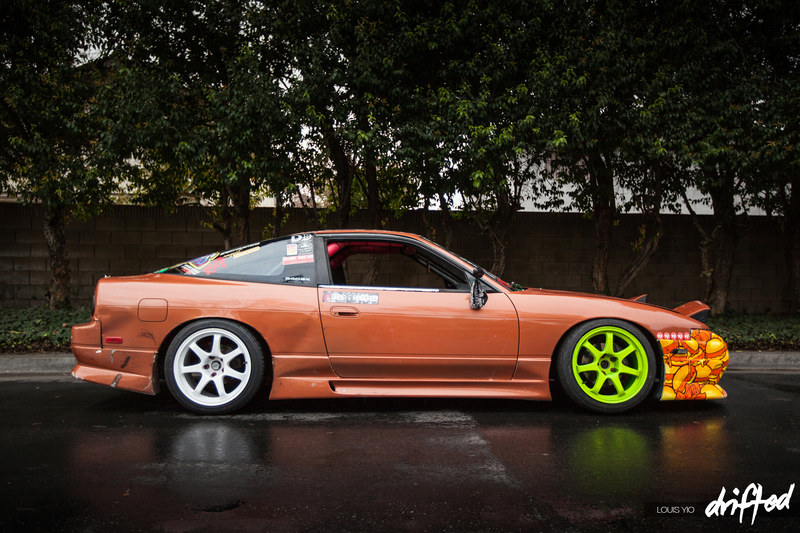 The only problem is that there are too many S13s that are similar to one another. In comes Ryan Carroll, who, for some reason, wanted hamburgers on his bumper. 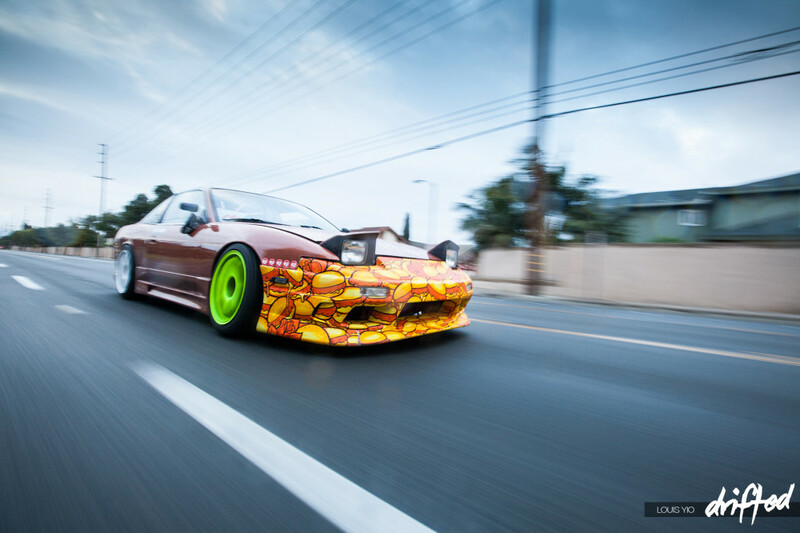 Honestly, aside from that, the car looks like another other S13, cosmetically at least. 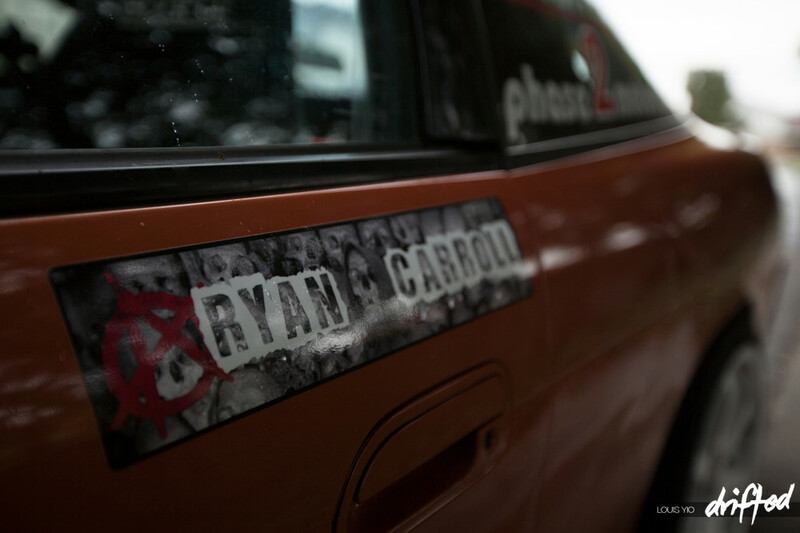 From the looks of it, Ryan doesn’t seem like someone who would do that to his car. He works IT and is a pretty mellow guy. 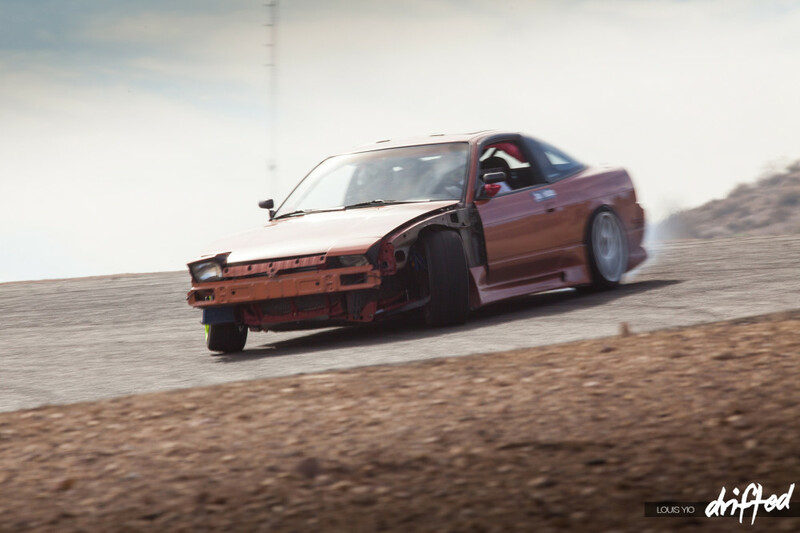 From the outside of the vehicle, most (drift) people will notice that Ryan’s car isn’t a street car. It is, in fact, a drift car that Ryan slides around Southern California’s race tracks. 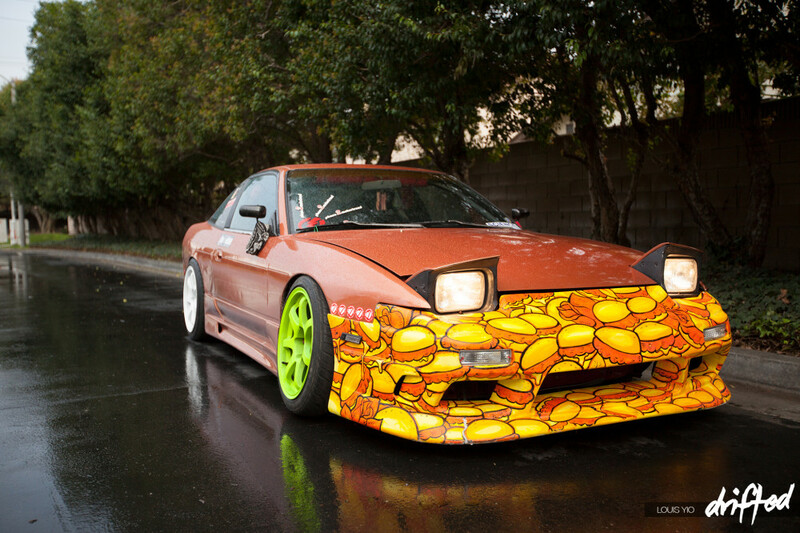 The hamburgers add a nice touch to help his car stand out from the crowd of other S13s. 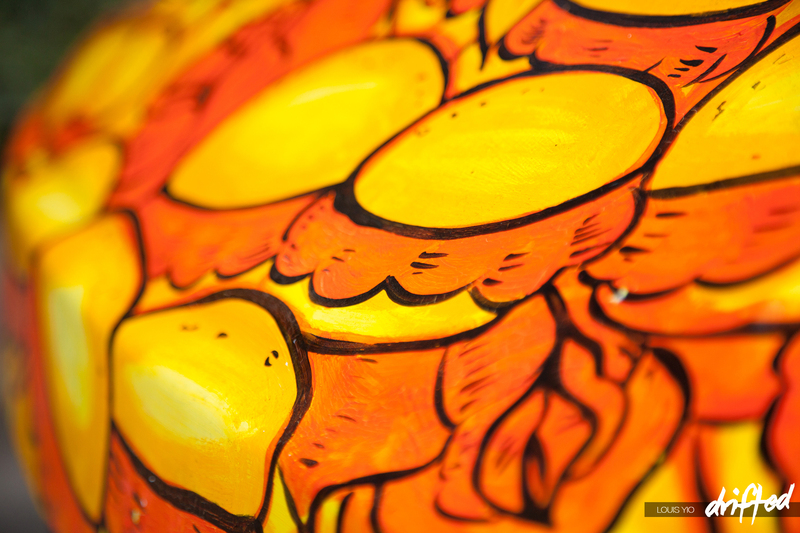 Hamburgers! The hamburger bumper hasn’t always been around. I dug up a picture from 2012 at All Star Bash and this was what it used to look like. 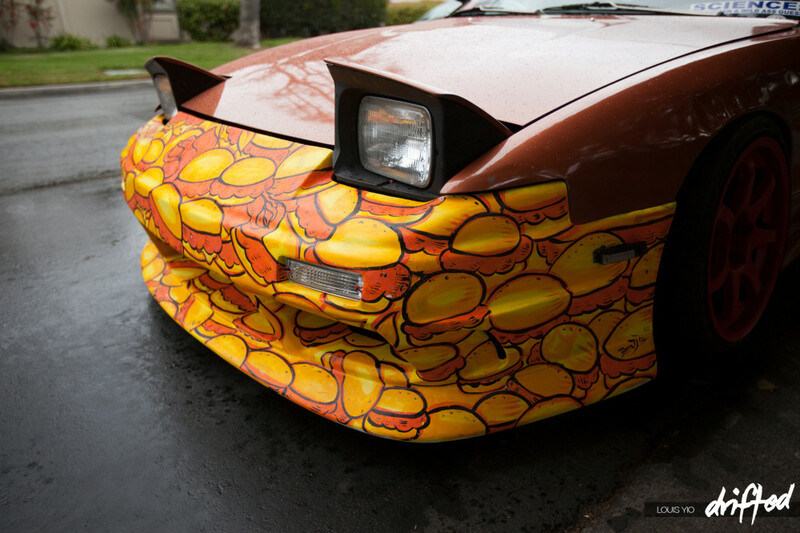 I small fender bender lead to his decision to paint his new bumper with hamburgers. Ryan’s close friend did the paint job for him. Ryan competes in Just Drift’s Top Drift, a grassroots drifting tournament that consists of 4 rounds per year with drift clinics and other events in between. 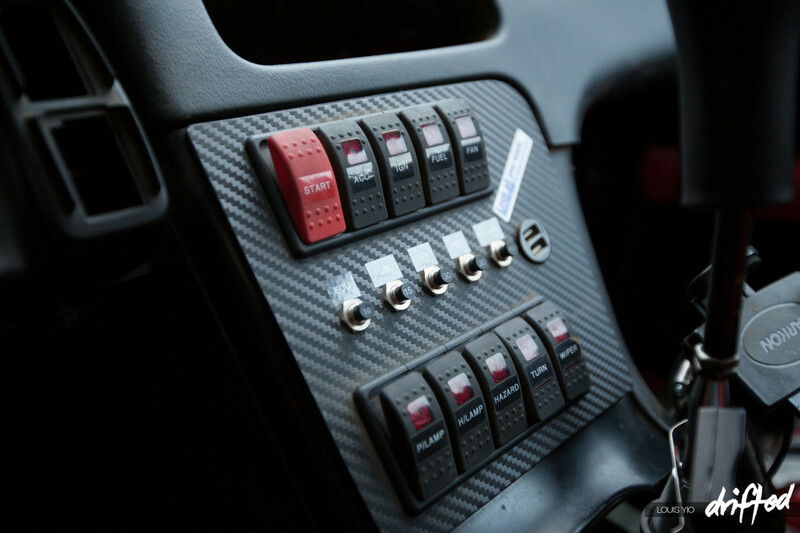 When asked if he’s ever go pro and compete in Formula Drift, he said he just does this as a hobby. 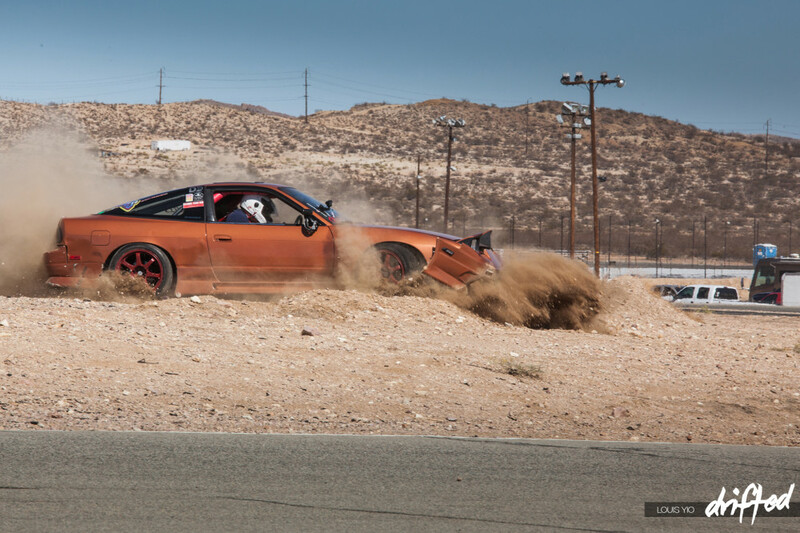 It is a respected answer because at the end of the day, drifting is all about the enjoyment of sliding your car around a corner. 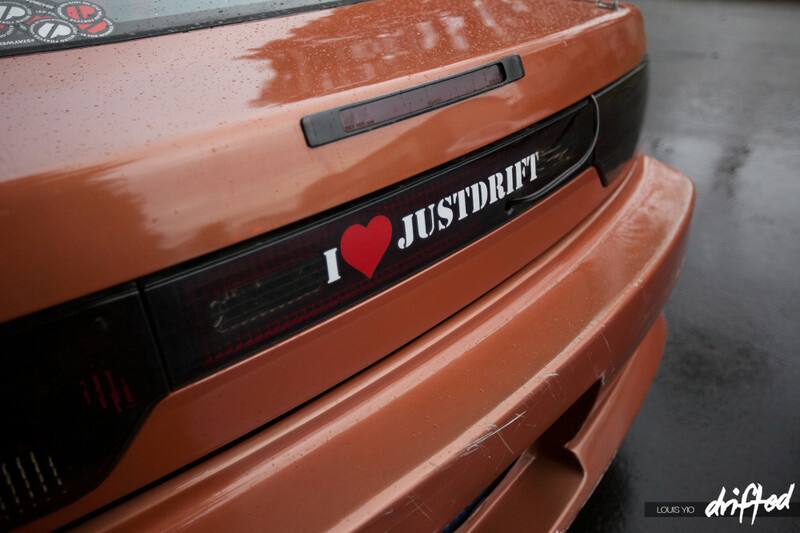 With a drift car comes a list of modifications. An extensive amount. 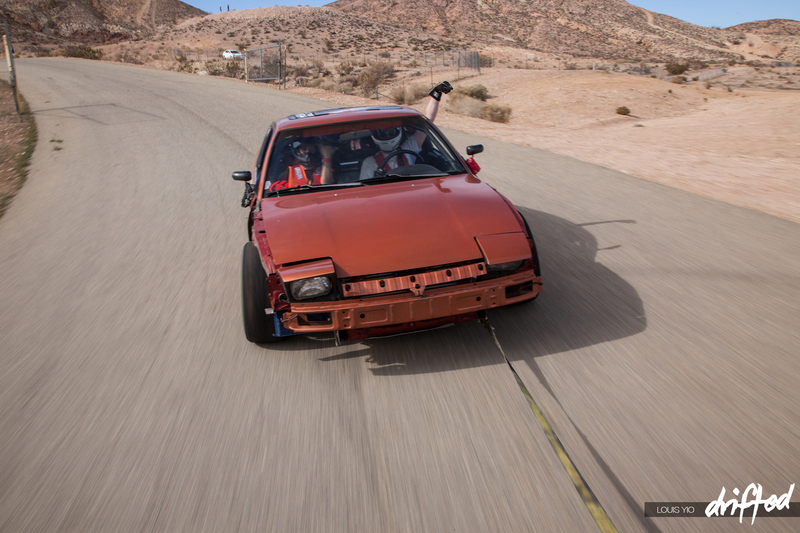 Ryan’s engine is actually getting replaced right now, but during the shoot, he was rocking the SR20DET engine that many people in the US try to get for their S13s that come with the KA24. 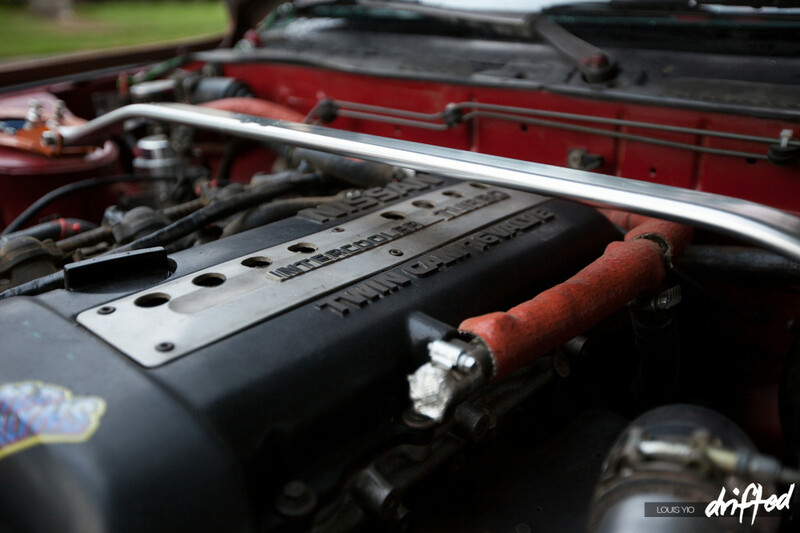 I can only assume that another SR20 will be on its way into the S13’s engine bay. 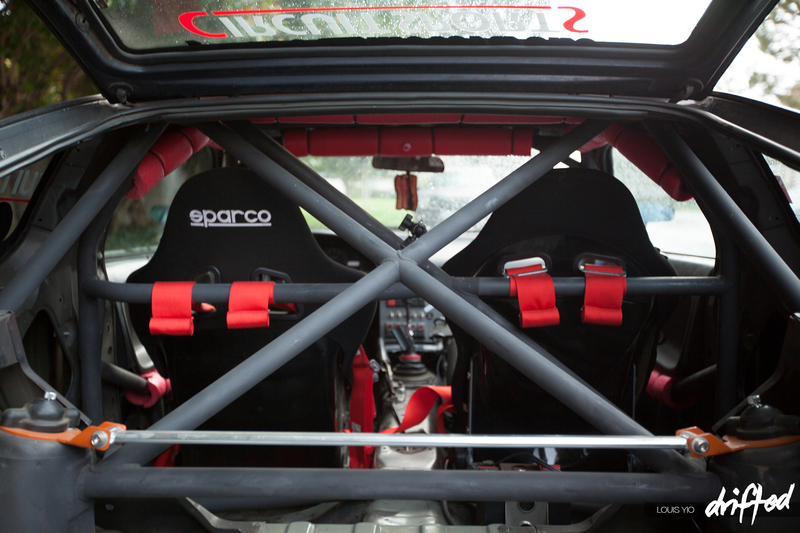 Inside the cockpit is what you’d expect to see inside a competition-spec drift car. 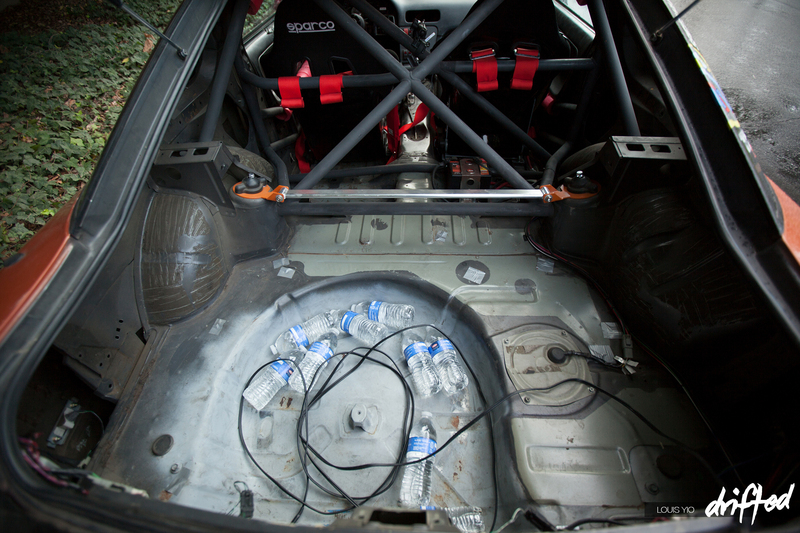 The water bottles are used as a ballast to help distribute the weight evenly between the front and rear of the car. Fact (not really). 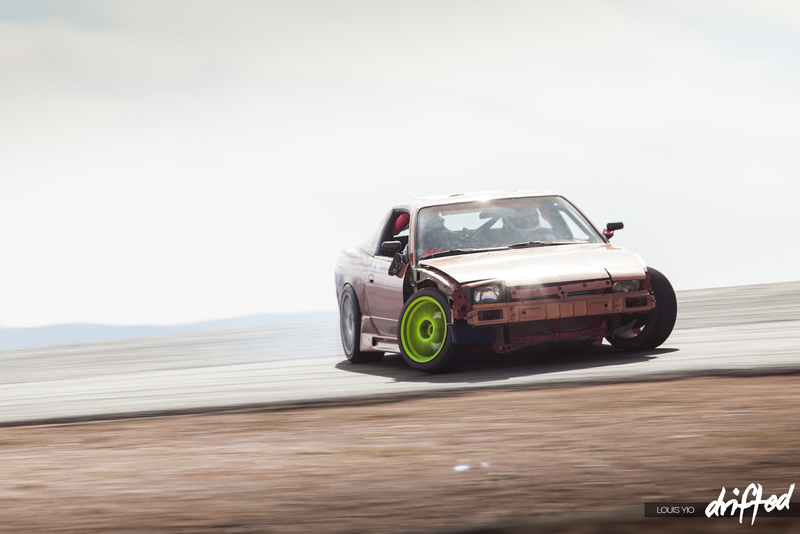 A couple weeks after the shoot, I met up with Ryan at a drift clinic that was being held by Just Drift. He didn’t want to risk damaging the bumper so he took it off temporarily and the fenders no longer fit onto the car. 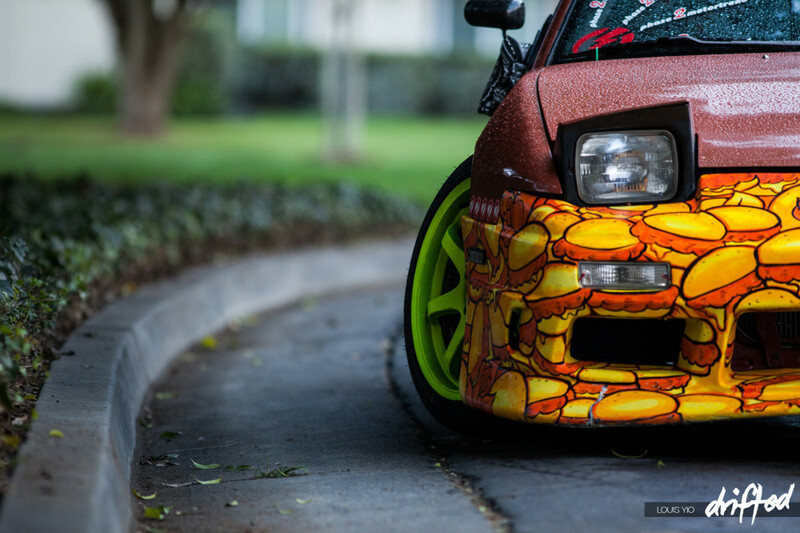 Ryan said he might as well get matching hamburger fenders when he gets his new ones. 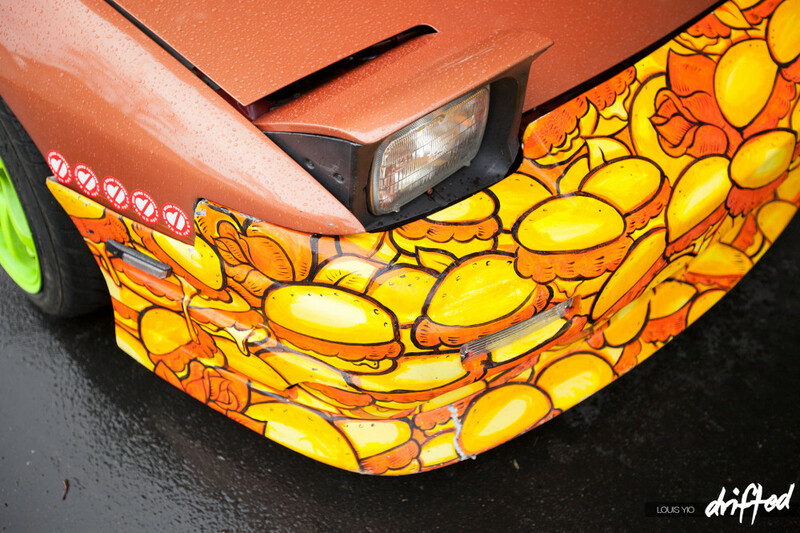 I think we can safely say that his car will be a full-on canvas of hamburgers by the end of the year. 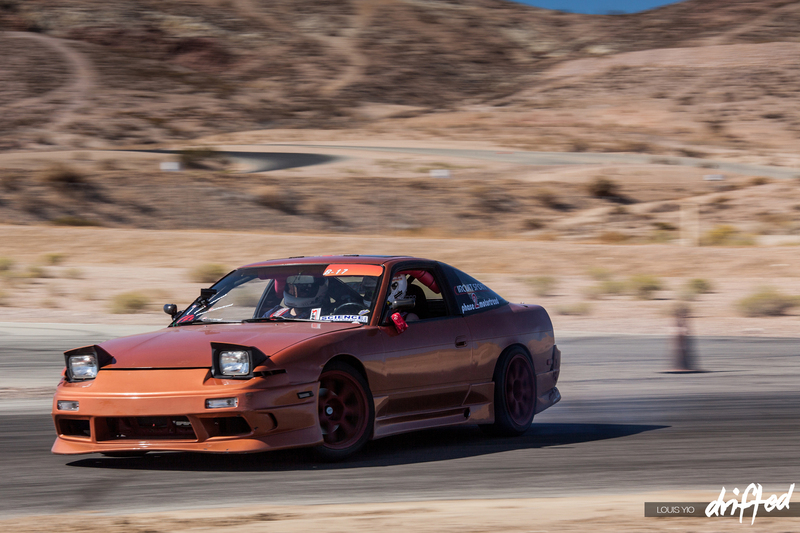 You can view Ryan’s blog about his journey with the S13 HERE.